You can have your own reasons why you are rejecting 1 Malaysia Email e.g. political reasons, you dislike our Prime Minister Dato’ Sri Najib Tun Razak, you don’t like the boss of Tricube Bhd, the CEO is not handsome enough, the boss looks like Hail Amir, a waste of public fund, etc. 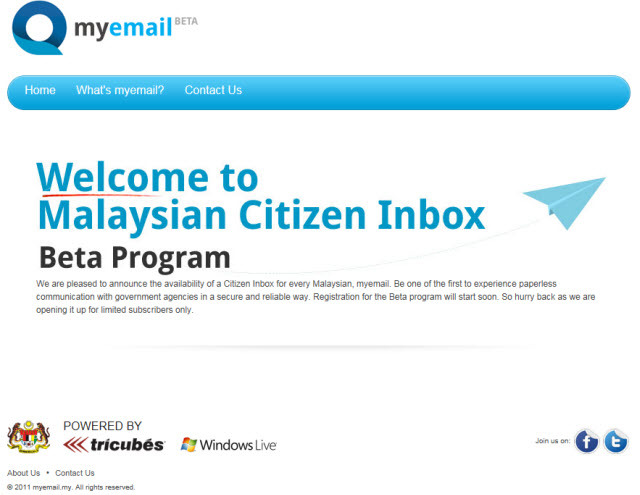 But I have only 1 reason why I am not going to use 1 Malaysia email. My reason has nothing to do with political reasons like what you have read in many blogs. And I have nothing against Tricube Bhd either. I don’t know much about that company and I wish them good luck in getting 5.4 million Malaysians to sign up for the service they are providing. 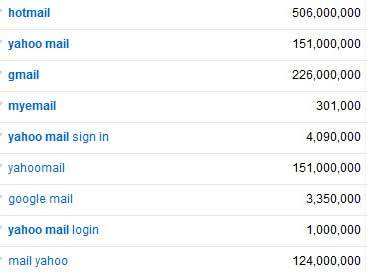 First, I already have many emails @ Yahoo!, Hotmail, and Gmail. But that is not the reason why I refuse to sign up for 1 Malaysia email that is provided by Tricubes Bhd. Second, I already have my own domain name i.e. NasiKerabu.com which I think is a better name than myemail.my. But that is not the reason why I reject myemail.my. Third, I’m not sure whether Tricube Bhd (which according to some news portals is a financially troubled company) would still be around for the next 10 years. I don’t want to end up changing my primary email @myemail.my to something else a few years later when this company, is no longer around. As for Hotmail, Yahoo Mail and Gmail, they belong to giant Internet companies that have been around for more than 10 years and I can be rest assured that they would still be around for the next 10 years. But still that is not the reason why I refuse to sign up with Tricube’s MyEmail.My. Fourth, there is another free email provider which is using the same name as Tricube’s country code top-level domain name (myemail.my), i.e. MYEMAIL. The only difference is that they are using a .COM top level domain name while Tricube is using a country code top level domain name i.e. .MY. Can you see how similar yourname@myemail.my is to yourname@myemail.com? It is very easy for people to confuse between the two because most of the time people would remember .com extension instead of .net or .my or any other extensions. Can you imagine what would happen if you sent a private and confidential email to someone@myemail.com instead of someone@myemail.my? What if one of the government agencies sent an email to someone who is using the same username as you at MyEmail.Com instead of MyEmail.My? Can you imagine the horror if you signed up for internet banking but you provided yourname@myemail.com instead of yourname@myemail.my because you are so used to @yahoo.com, @hotmail.com, or @gmail.com? Your bank statement might be sent out to another user @myemail.com. And that is the reason why I refuse to use MyEmail.My. A secure email will not be secure if 30% of the time the email would go to a wrong user @myemail.com. If Tricube is serious about providing a secure email, using a .COM top level domain name should be the top priority and should be the first thing that they have to consider when thinking about domain name to be used for this “free” email service. Why? Because according to statistics provided by a Malaysia SEO Consultant, 30% of the time people would tend to unintentionally type a .com domain name instead of the right domain name with different extensions such as .my. Now, that is the reason why I refuse to use MyEmail.My. Since 2003, MyEmail.com has provided an email checking service for users to check existing external pop3/imap accounts. Their service allows users to check email from home, work, school, anywhere. 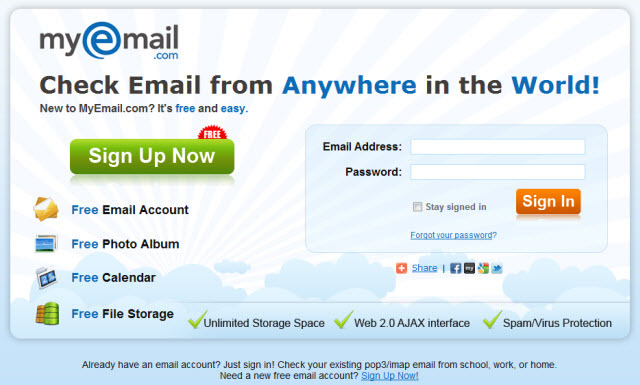 In January of 2010, they launched a brand new free email service to compete with the big 3 providers. Their free email service provides a free email account with unlimited storage space for emails, files, calendars, and photos. This entry was posted in Internet and tagged 1 Malaysia email, 1Malaysia email, myemail.my. Bookmark the permalink.